Around August 2013 Google sent out a new version of Chrome that is no longer compatible with Chrome Toolbox. So far there have been no indicators that the Google team will be updating the toolbox. It's more abandonware from Google. The main reason I have stuck with Firefox is Tab Mix Plus. It is the must have extension. But the developer of TMP to date has no interest in porting this gem to Google’s Chrome browser. Lately I have become so frustrated with Firefox’s speed I gave Chrome another chance and spent a couple of days searching for something to match TMP’s features. I finally made the transition to Chrome this week. A whole week without Firefox! I am still not 100% sold on Chrome, I still feel the extensions in Firefox are more robust but the sheer speed of Chrome has me sold. I found that Google makes an extension for Chrome that has one key tab feature to make it one step closer to TMP’s treasure chest of tab extensions. Chrome Toolbox by Google has a few tab extensions that do make life easier. The key feature is opening a new tab when typing anything on the URL line. Since Chrome has no search window you type your URL or search request into the same area. With Google’s Toolbox for Chrome there is an option labeled ‘When pressing enter in address bar with a URL in it, open the URL in a new tab”. This is awesome, the most difficult part of the transition was losing my current tab every time I did a search and this solves that. Another option in the Google’s Toolbox is “When clicking on a link, always open in a new tab”. It’s not exactly what I want. What TMP does is only open a new link if the domain changes when clicking on a link. I put a request into the Google dev team about enhancing this feature but from what I am reading they don’t seem to listen to us users! I was hesitant to buy this drive after reading many user reviews that you cannot attach this drive to a keychain. I saw a couple of comments that users did attach them which left me confused why most said you could not. Well I decided to buy it and hope it worked. I was able to finally attach it to my keychain. My first attempt failed, I tried using a small metal ring from a LED flashlight. The ring was too big to fit around the pin. I than had an old lanyard lying around that uses a nylon string that fit perfectly around the metal pin. In my opinion Sandisk blew it with the keychain mount. The older Cruzers worked fine and they included the keychain ring. Why the later models do not is very bizarre. When you first plug your new Cruzer into your Windows system you won’t be able to copy large files (>4gig) to the device. 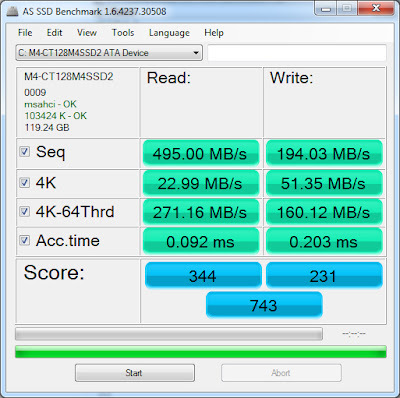 Sandisk is still formatting these drives with FAT32. I recommend reformatting the drive for NTFS. It’s a much more stable file system to store our important files. File transfers are still slow due to the USB 2.0 interface. I copied a 4.7gig file in 14 minutes. What I have always liked about the Cruzer line is no cap is required to cover the USB plug. The USB plug retracts into the drive using a slider control that is easily moved with your thumb. The drive also has a light to indicate it’s on and blinks when data is being transferred to or from the drive. Since hurricane Irene I have become more worried about my sump pump not working without any power. I also have a refrigerator that is on a circuit that pops the breaker two or three times a year. I was looking for a cheap alarm to tell me when I have no power to the frig and an alarm to wake me during a storm so I can get my generator going to power my sump pump. I really like that the alarm also subs as a flashlight when the power goes out. It has a built in rechargeable battery that powers several LED’s to make for an effective flashlight. The flashlight turns on automatically when the power is disrupted. The manual states the battery can run the flashlight for up to 6 hours. The only negative is the alarm itself. It is not very loud. The manual says it is 78 dB. It is not nearly as loud as a home fire alarm for example. I plan on using one in the bedroom which should wake me if the power goes out. This alarm costs under $15 dollars. It’s a decent solution for the price. I needed to get Photoshop CS5 running on my backup system and Photoshop was not too happy. I updated all drivers and it would crash whenever I opened any file. The Event Viewer said it was ID 1000. After some searching on Google I got no fixes. I finally just poked around the PS preferences and found a toggle to disable Open GL Drawing under the performance menu. Presto, once I unchecked that box Photoshop works perfectly.